Fritz's Adventure is full of fun that will keep you moving! the rock climbing, explore the underfround tunnels, or master the laser room. Looking for the next level of adventure? Challenge yourself at Fritz's Aerodium Outdoor Flying Advenuture (opens Memorial Day weekend)!To learn more about the place families adventure together, click here. We believe in enjoying every moment of your vacation. 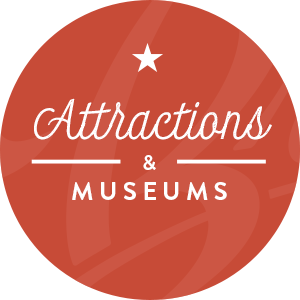 With all the attractions and museums Branson has to offer, we know you will! Activities in Branson range from thrilling theme parks to romantic dinner cruises on Table Rock Lake and a wide variety of museums that are sure to entertain and amaze you. Make your family vacation in the Ozarks a memorable one with your perfect itinerary of things to do in Branson. 5 Unbelievable Finds at Ripley’s Believe It or Not in Branson!